Welcome to our Online Store! 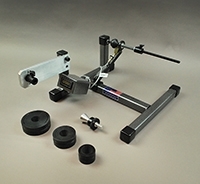 Check out our newest product line-- The Speed Spooler. We've been working with Revolution Product Development here in NC for many years. 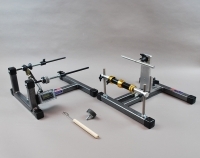 They have a great shop and are always creating well made, functional products. 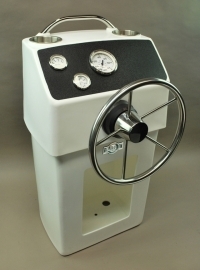 These boat consoles do not come with steering wheels or gauges, so you can customize your own set up. 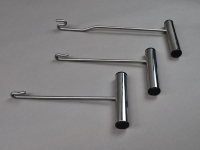 Our Super Spoolers and Mag Brake Spool Holders hold your spools and provide the correct tension on the line. 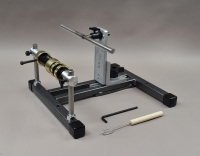 Can be used on their own or combined with our Reel Winders and Mortorized Reel Winder. 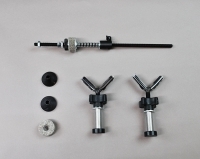 Accessories to use with our Spoolers and Reel Winders for filling spinning reels. 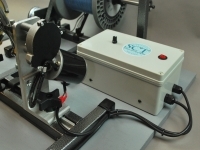 The Speed Spooler is the newest addition to the South Chatham Tackle Spooling System. Advancing the design of our popular Super Spooler, the Speed Spooler is equipped with dual brake pads to insure the perfect amount of tension for any re-spooling needs. 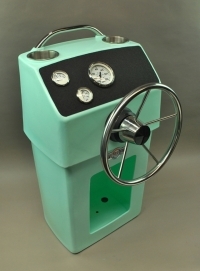 The On-Board model is built using anodized aluminum, state-of-the-art plastic, and stainless-steel ball bearings, with stainless-steel fasteners and shaft. These quality materials make it suitable for the harshest environments. The Table-Top Speed Spooler is built along the same lines as the O-B Model, but housed on an all steel, powder coated frame. 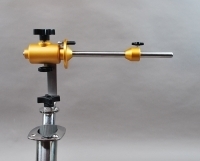 The dual brakes make achieving higher tension levels easier and more consistent. 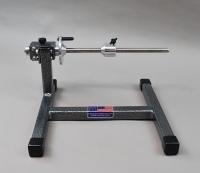 The Table-Top Speed Spooler can be used with all of our Reel Winders and other tools. Check our short video of how to use here. 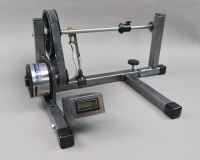 Our Reel Winders are available in three sizes depending on what size range of reels you use. Mix and Match with our Combo Packs, Spinning Reel Adapters, and Motors to create your ideal set up for spooling your reels. 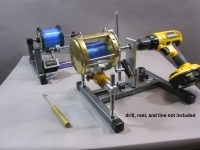 Reel Winders can be used with any of our Super Spoolers, Speed Spoolers, or Mag Brake Bulk Spool Holders. 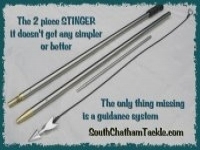 The latest tool from South Chatham Tackle. 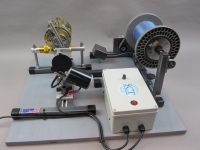 The Motorized Reel Winder can be combined with component parts you already own, or see our customized packages to get the right parts for your reel spooling needs. Our famous lure-- cast and finished in-house. Available in several sizes and colors. 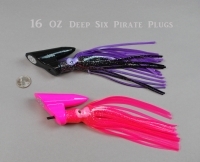 The Pirate Plug is a unique trolling lure that can turn a bad day of fishing into a great day. 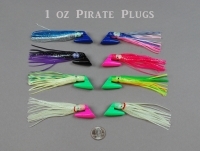 The Pirate Plug can be trolled with a ballyhoo or a cigar minnow. The weighted sloped head keeps the bait running straight and always diving down. This lure can make an amateur bait rigger look like a pro. 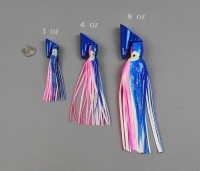 When used with our rigging style your bait will not spin and it will track straight with a vigorous swimming action. 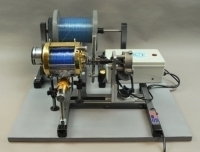 The Pirate Plug can be pulled at speeds from 1 knot to 9 knots with great results. 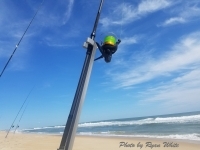 King Mackerel, Mahi Mahi, Wahoo, Tuna, Barracuda, and Amber Jack are just a few of the fish that will inhale this lure. 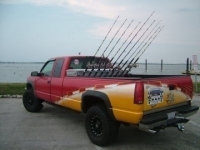 The lure can be run in the prop wash, on a downrigger, a short outrigger, or a long outrigger. My personal favorite way to fish it is on an outrigger. As the boat rocks side to side the lure will be jigged up and down triggering savage strikes. Make sure you have several when heading out and make sure to check the drag setting on your reels because you will need it. 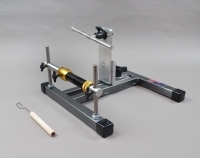 High quality, hand crafted tools-- built to last a lifetime.